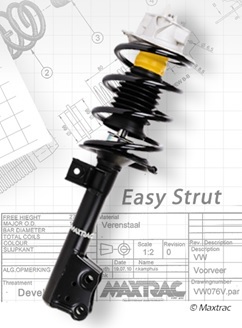 Maxtrac UK Limited, a sister company of Netherlands-based Autotechnics BV, is a suspension specialist supplying a range of products including shock absorbers, coil springs and easy struts. Already established in the Netherlands, Maxtrac is a company which develops and produces suspension systems/parts. Our line of products include electronic motion controlled suspension systems, ride height adjustable suspension systems and sport suspension systems. As a producer of automotive suspension systems we are able to comply with the highest requirements of the market. As a producer of industrial products, we can not only meet up with specific automotive demands but also with demands from other market segments. So we are able to supply springs, shock absorbers and components in high volume, against competitive prices.